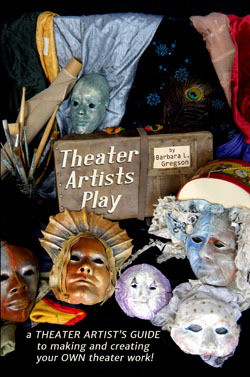 Barbara's new book (Theater Artists Play) is now available for purchase below using a major credit card or PayPal. Simply click on the Buy Now button below. NOTE - in the next screen, you will be able to change quantities. A THEATER ARTIST'S GUIDE to making and creating your OWN theater work! Theater Artists Play is an inspirational guide to making your own theater work. This book is for all would-be, used-to-be and wanna-be actors, mimes, storytellers, dancers, musicians, writers, all visual and performing artists! Don’t wait to be discovered. Discover yourself with Theater Artists Play. Learn how to show your stories, make and play your own creations and get paid! 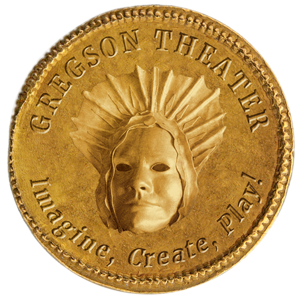 PLEASE NOTE: For any scheduled residency, the organization can receive free copies of Barbara L. Gregson's book (“Theater Artists Play”) for their teachers & staff. In addition, all participating students in both residencies and workshops can purchase the book at a discount price.